This entry was posted in WordPress and tagged 2010, alpha, Beta, core, custom post types, custom taxonomies, features, kubrick, menus, multisite, Releases, testing, Themes, twentyten, updates, Upgrades, WordPress, wpmu. Bookmark the permalink. A lot of features that come hidden and must be enabled by code huh? I’ve done some tests with MultiSite and my feeling is that it’s usable, but it still has some characteristics that limit its use. In exemple, sites URLs are too restrictive, we are limited to main domain, and upon enabing we must choose if sites will be placed in subdomains or subfolders. We can’t use a variety of domains with only core. Sites interaction also seems to be limited. Plugins seem to be restricted to each site, WordPress API automatically refers to the site being queried, and we don’t have information about other sites. And if we use the wrong way, as a constant instead of a function, we end up not knowing what’s current site / differ it from other ones, and mess everything. There seems to be no easy way to access all sites data and files at once and know which of them is current, and transfer/trade data among them. Also, we can’t have different sites tables in different databases, so with a few dozens of sites, database becomes so big it gets hard to backup and restore. MultiSite seems to be only a shortcut to have many/a few sites in a single install and database, making it easier to update core, plugins and themes and save space. To install a plugin “site-wide”, create a wp-content/mu-plugins directory, and drop the plugins in there. Note that plugins in the mu-plugins directory are “always-on”. Once you put the code in there, it is automatically considered active, for every site in your network, and it will not show up in the normal Plugins list. Most of your other concerns can be addressed by plugins. Try researching some of the available WPMU plugins. The database schema, though inconvenient for some operations as you have noted, is designed to make scaling easier. Keep in mind that this is the same codebase that WordPress.com runs on, supporting millions of blogs. Doug, I may have a newer build than you, but the plugins from my main site show up on all the network sites. They are turned off by default. There is the option to “Activate” “Network Activate” “Edit” and “Delete”. I was using my Super Admin access on this site. I don’t know if that makes a difference. Anyway, it looks like the option is there to activate the plugins on a selective basis or “site-wide” basis. excellent write up. I had one question on your blog. What wordpress retweet plugin are you using? Trying to find something similar that does not have to go through TweetMeme for the sake of cutting out the middle man for faster page loads. I’ve been running 3.0b1 for a day or two now, and the multi-site works, but I think it’s a bit confusing and difficult. Hopefully we’ll see some improvements on this later down the line, especially now that it’s more mainline. The ShortLinks API is great. I see lots of potential here. BTW, the “wp.me” shortener is implemented in the WordPress.com Stats plugin. So there’s that. Just call “the_shortlink()” or “get_the_shortlink()” to use the new API. Thanks for pointing that out, Otto. 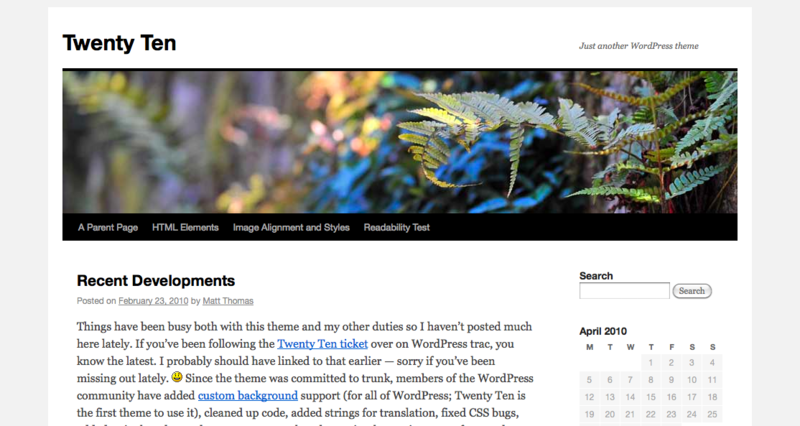 I thought I recalled something about the wp.me shortner being implemented somewhere. But while writing this article, I searched through the core code and didn’t find it mentioned. Lot of people already run the Stats plugin, so they might find that handy. so otto, u actually got it installed rather quickly with no day or two of searching how to make all the necessary edits to the php, and…did you have to make a wildcard for your dns? my impression of 3.0 was that it would be as easy to install as 2.9.2 (+prior) as well as eliminate the incredible amount of limitations with java and iframes because of the security. just an outloud though, my logic tells me that it might have been easier and more user friendly if there were no security issues and if security was to become an issue it be worked out from there. i’m afraid of finding out that all the time i spent learning to set up MU is only going to be a waste because java and iframes are a functional, and normal everyday part of people’s websites. but i digress…. you got it going right away it sounds like. still need to do a wildcard? htaccess? i had to reinstall the first time i did an install of mu because i lost my site admin. that happened because i changed the user admin to something else which in turn interpreted that i was not the superuser. however, when creating the config, right there is a cool new box that allows you to create a custom user. so, after successfully installing with no site admin or network option, i’ve yet to do the re-installation under the simple username of admin. –really tho? not like i can really complain considering what they’ve done for me, you, and everybody else here. long story short–are you having the same security issues as you would with MU? I’ve decided that I hate the new menu system. Otto, what don’t you like about the menu system? They’ve made some changes but I find it easy to work with. I would have rather had something like on Web MD, but this is looking good, so far. I would like to see it work better with my custom content post types, but I think I can write something to get around that. I discussed this on wp-hackers, but in short: My main problem is that it is very limited in scope. A menu item is a name and a URL and there’s no way in the current code to make it anything else. You can’t make an easy plugin to make a new “type” of menu item, that configuration page on each one is hard coded, etc. Maybe this will be resolved before release with hooks or filters or something, but the underlying design of sticking menu items in the DB as custom post types has already broken 4 plugins I use. I had to modify them to fix this issue. On the whole, I just feel that it’s just not up to par with the rest of WordPress. I feel like it was added in far too hastily and that it should be pulled back out until 3.1. I agree. While idea is good to have menu designer, realization is not (so far). Original WooMenu was functional but not up to WP standards, and now that it’s rewritten, it causes too much problems. I hope that they will sort it out before release, and that there will be some easy way to expand it. There should be an icon on the end of the main menu bars where all sub-menus could be closed. Then drag and drop would make sense. I think the menu system has a ways to go before it’s ready for prime time. better to have obama try something and mess up rather than not trying to do anything at all. -worked in an argument with my republican friend. but, i’m actually liking the idea of the menu function, but i really can’t think of a practical way on how to use it. There is a function in WordPress 3.0 that generates a login form anywhere on the theme, by including it into the desired location in the theme template. Now, theme designers can easily have a login form in their sidebar! I have around 60 wp installations, so do i have to change each wp-config.php file on all my existing wp installs? Or do i just have to change the main wp site? Pingback: ?????? ?? ??? ?? Dougal Campbell?? ?? ?? | ????? i was also able to put a “share on facebook” and “retweet button” for my worpress.com blog. html codes because java script don’t work. WordPress 3.0 works perfectly, but I am still missing the way to save different sets of plugins and only having to turn on or off the set, I am missing the ability to quick select the categories, just start typing the name of the category and this is filter for easier selection, I am missing a better image resizing or editing, anyway, I love wordpress. Pingback: WordPress 3.0 is official! Pingback: ?????? ?? ??? ?? Dougal Campbell?? ?? ?? | ????? ? ?